The Pascua Yaqui Indian Reservation is surrounded by a variety of scenic drives and recreational opportunities. An hour away is Mt. Lemmon with hiking, skiing and other outdoor opportunities. A few miles north of the reservation is Saguaro National Monument. Other sights include San Xavier del Bac Mission, Old Tucson Studios and Kitt Peak Observatory. The nearby Santa Catalina Mountains and Rincon Mountains provide excellent hiking and camping opportunities. 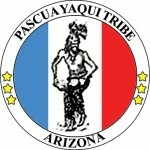 The Pascua Yaqui Tribe opened a 9,000 square foot bingo hall in 1992. This facility was expended in 1994 to include a casino. The Casino of the Sun opened March 10, 1994. The Casino Del Sol opened to the public on October 10, 2001. The new casino also features the 4,400-seat Anselmo Valencia Tori Amphitheater (AVA). All gaming facilities are located southwest of Tucson.